11682 L INDIA (1953) Victory tower*. 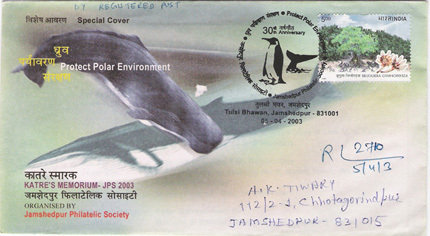 Stamp, Scott No 218, used on registered cover. 9357 L INDIA (1972) Medieval sculpture*. 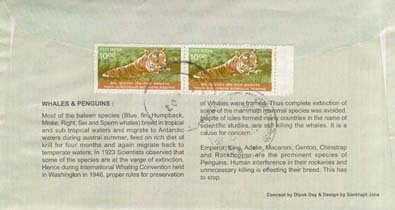 Block of 4 of Scott No 419 used on registered cover. 9776 L INDIA (2007) Bridges*. 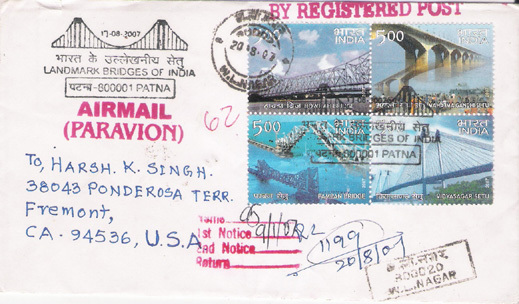 Airmail letter to USA franked with Landmark Bridges stamps and special cancelation.